10 Faridabad FITTER 116644 SUNIL TIWARI BRAHM DEO 0 FAIL Prac. T.T. 14 Faridabad FITTER 116648 JITENDER KUMAR GIAN CHAND 0 FAIL Prac. 19 Faridabad FITTER 116653 SHYAM SUNDAR RAGHUVEER SINGH 0 FAIL Prac. 26 Faridabad FITTER 116660 KAMAL KANT SAINI NARAYAN SAINI 0 FAIL Prac. Reappear29 Faridabad FITTER 116663 NAGENDRA KUMAR RAM VILASH SINGH 0 FAIL T.T. 35 Faridabad FITTER 108059 SHIV CHARAN CHET RAM 0 FAIL T.T. 49 Faridabad Machinist 116686 MUKESH SOHAN LAL 0 FAIL T.T. 57 Faridabad MECH. ELECTRONICS 111766 PINTU KUMAR GYASI RAM 0 FAIL T.T. 58 Faridabad MECH. ELECTRONICS 111761 SUSHMA VAKIL SINGH 0 FAIL T.T. 64 Faridabad Mech. Motor Vehical 116722 VIKAS KRISHAN CHAND 0 FAIL T.T. 67 Faridabad DMM 116718 SEHDEV TANWAR RISHPAL TANWAR 0 FAIL T.T. 73 Faridabad TRACTOR MACH. 116728 SHAILESH KUMAR VISH RAM 0 FAIL Prac. T.T. 74 Faridabad TRACTOR MACH. 116729 VED PAL JAI SINGH 0 FAIL T.T. 75 Faridabad TRACTOR MACH. 116730 AJAY PARKASH ANIL KUMAR 0 FAIL T.T. 76 Faridabad TRACTOR MACH. 116731 ARIF MAZEED 0 FAIL T.T. 78 Faridabad TRACTOR MACH. 116733 MANI RAM PANIKA MANGAL LAL 0 FAIL T.T. 91 Faridabad TRACTOR MACH. 116746 DAU JI TARA CHAND 0 FAIL T.T. 92 Faridabad TRACTOR MACH. 116747 ASHOK KUMAR MANGE RAM 0 FAIL T.T. 99 Faridabad TRACTOR MACH. 116754 NAVEEN KUMAR RAM KANWAR 0 FAIL T.T. 105 Faridabad TRACTOR MACH. 116760 VIJAY KANT DINANATH 0 FAIL Prac. T.T. 107 Faridabad TRACTOR MACH. 116762 VIJENDER RAJPAL 0 FAIL T.T. 109 Faridabad TRACTOR MACH. 116764 PARVEEN JAIPAL 0 FAIL Prac. T.T. 112 Faridabad TRACTOR MACH. 116767 SURJEET SINGH MAUHAR SINGH 0 FAIL T.T. 113 Faridabad TRACTOR MACH. 116768 BALRAM VED PARKASH 0 FAIL T.T. 133 Faridabad WELDER 116797 BABLOO SATVIR 0 FAIL T.T. 134 Faridabad WELDER 116798 JOGINDER SINGH BALKISHAN 0 FAIL T.T. 135 Faridabad WELDER 116799 PADAM DEV RAJENDER SINGH 0 FAIL T.T. 136 Faridabad WELDER 116800 PARVINDER TEJ SINGH 0 FAIL T.T. 137 Faridabad WELDER 116801 UMESH BIJAY PAL 0 FAIL T.T. 139 Faridabad WELDER 116803 VISHNU KUMAR MURARI LAL 0 FAIL T.T. 140 Faridabad WELDER 116804 ASHOK KUMAR SEWA SINGH 0 FAIL T.T. 144 Faridabad WELDER 116808 MUSTUFA MUBIN KHAN 0 FAIL T.T. 160 Gurgaon WELDER 115281 SURENDER SUBE SINGH 0 FAIL Prac. T.T. WCS. ED. S.S.
161 Gurgaon WELDER 115282 NARENDER MOHAN LAL 0 FAIL T.T. 164 Gurgaon WELDER 107464 GAURAV LAL BALDEV RAJ LAL 0 FAIL T.T. 165 Gurgaon Electrician 115369 DHARMBIR RAMKISHAN 0 FAIL WCS. 169 Gurgaon Electrician 115387 ANIL KUMAR SH. BISHAN SARUP 0 FAIL WCS. 171 Gurgaon Electrician 115389 BALRAJ SH. ASHOK KUMAR 0 FAIL T.T. WCS. 172 Gurgaon Mechanic Diesel 115489 SANJAY KUMAR SH. RAMESHWER 0 FAIL T.T. 178 Gurgaon Mechanic Diesel 115485 SUDHIR KUMAR RANVIR SING 0 FAIL Prac. 193 Gurgaon Electrician 115303 MUKESH KUMAR CHIRANJI LAL 0 FAIL Prac. T.T. SINGH 0 FAIL Prac. T.T. 209 Gurgaon Electrician 115319 KARAN SINGH VIKRAM SINGH 0 FAIL Prac. T.T. 221 Gurgaon Electrician 115331 SAJJAN KUMAR RAM KUMAR 405 PASS222 Gurgaon Electrician 115332 JAGAJEEWAN RAJBHAR SAGAR RAJBHAR 0 FAIL Prac. T.T. 225 Gurgaon Electrician 115335 VIAJY KUMAR PANCHAL SHRIPAL SINGH 0 FAIL Prac. 227 Gurgaon Electrician 115337 MAHESH KUMAR SHEEV NATH 0 FAIL T.T. SHEKHAR 0 FAIL Prac. T.T. 235 Gurgaon Electrician 115345 RAM VISHAL TIWARI SHIVPRASAD 0 FAIL Prac. T.T. 240 Gurgaon Electrician 115350 YUDHVEER SINGH HAJOORA SINGH 0 FAIL T.T. 242 Gurgaon Electrician 115352 SACHIN KUMAR SINGH CHANDRAMA 0 FAIL T.T. 244 Gurgaon Electrician 115354 DEEPAK KUMAR RAMESH KUMAR 0 FAIL T.T. 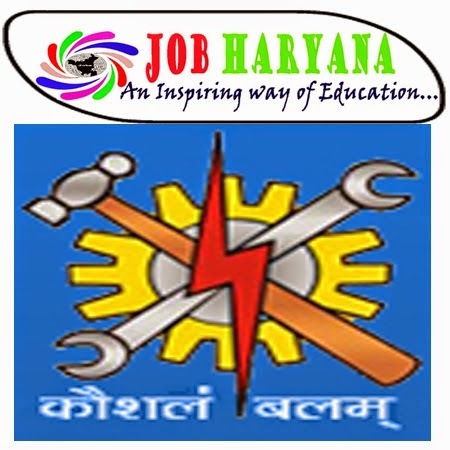 254 Gurgaon Electrician 115364 PARVEEN JAI SINGH 0 FAIL Prac. T.T. 266 Gurgaon MMV 115431 SHEO KARAN SANT RAM 0 FAIL Prac. T.T. 297 Gurgaon TURNER APP-1-110676PARDEEP KUMAR SULTAN SINGH 0 FAIL T.T. 338 Gurgaon Tool & Die(Press Tools & J.F) 115511 AJAY KUMAR PARMANAND 0 FAIL Prac. T.T. 353 Gurgaon Fitter 115071 RAJU PRITAM 0 FAIL Prac. 368 Gurgaon Fitter 115086 SHAMSHER SINGH SUBE SINGH 0 FAIL Prac. 369 Gurgaon Fitter 115087 SURENDRA VERMA RAMKISHAN 0 FAIL Prac. T.T. 375 Gurgaon Fitter 115093 RITESH KUMAR RAJENDRA YADAV 0 FAIL T.T. 382 Gurgaon Fitter 115100 BHASHKAR KUMAR SHYAM BIHARI 0 FAIL Prac. 384 Gurgaon Fitter 115102 RAJENDRA BANVRI 0 FAIL Prac. 386 Gurgaon Fitter 115104 SADDAM ANSAREE RAJAVAN ANSAREE 0 FAIL Prac. 388 Gurgaon Fitter 115106 SACHIN KUMAR DALBIR SINGH 0 FAIL Prac. 389 Gurgaon Fitter 115107 ARUN SHREE BHAGWAN 0 FAIL Prac. 390 Gurgaon Fitter 115108 MANISH KUMAR JAGDISH MEHTO 0 FAIL Prac. 412 Gurgaon Fitter 115130 MANOJ KUMAR PAL RAMPRAKASH PAL 0 FAIL Prac. T.T. 421 Gurgaon Fitter 115139 SIKANDAR SAH NARAYAN SAH 0 FAIL Prac. T.T. TOMAR 0 FAIL Prac. T.T. 455 Gurgaon Fitter 115173 RAHUL KUMAR PANDEY KALI SAHAYA 0 FAIL Prac. 479 Gurgaon Welder APP-1-110176KULDEEP SINGH GULJAR SINGH 0 FAIL T.T. 480 Gurgaon Welder APP-1-110177SUNIL KUMAR SUREJBHAN 0 FAIL T.T. 492 Gurgaon Welder APP-1-110200ROHIT LATHWAL JAI BHAGWAN 0 FAIL T.T. 496 Gurgaon Welder APP-1-110284KARAMBIR RAM PHAL 0 FAIL Prac. 498 Gurgaon Welder APP-1-110331DINESH RAJESH 0 FAIL T.T. 524 Gurgaon Welder 115236 RAJ PAL SATPAL SINGH 0 FAIL Prac. PRASAD 0 FAIL Prac. T.T. 528 Gurgaon Welder 115240 VARINDER SINGH BABU SINGH 0 FAIL T.T. 529 Gurgaon Welder 115241 MANDEEP SINGH MANN SINGH 0 FAIL T.T. 530 Gurgaon Welder 115242 RAM BAHADUR LALLAN CHAUHAN 0 FAIL T.T. 533 Gurgaon Welder 115245 ANAND KUMAR RAGHUNATH 0 FAIL T.T. 537 Gurgaon Welder 115249 PARMOD KUMAR RATI RAM 0 FAIL Prac. T.T. 543 Gurgaon Welder 115255 KUMAR GOURAV RAM CHANDER 0 FAIL T.T. 568 Gurgaon DMM APP-1-110963SUMAN RANI MAHENDER SINGH 0 FAIL Prac.569 Gurgaon DMM APP-1-110964SANDEEP RAM KISHAN 0 FAIL Prac. MAURYA 0 FAIL Prac. T.T. 576 Gurgaon Machinist 115395 AJAY PAL RAM KUMAR 0 FAIL T.T. 580 Gurgaon Machinist 115399 ASHWANI KUMAR MAHESH CHAND 0 FAIL Prac. 587 Gurgaon Electrician 115383 SONU KUMAR SH. JAIPAL 0 FAIL Prac. T.T. CHANDER 0 FAIL Prac. T.T. 603 Gurgaon MMV 115443 HIMMAT RAM SH. JILE SINGH 0 FAIL Prac. T.T. 606 Gurgaon Tyre Repairer 115521 DINESH KUMAR SH. RAM KUWAR 0 FAIL Prac. T.T. 607 Gurgaon Tyre Repairer 115522 KRISHAN SH. OM PARKASH 0 FAIL Prac. T.T. 608 Gurgaon Tyre Repairer 115523 PARBHAT SH. BED PARKASH 0 FAIL Prac. T.T. 610 Gurgaon Tyre Repairer 115525 VIRENDER SINGH SH. RAM SARUP 0 FAIL Prac. T.T. S.S.
612 Gurgaon Tyre Repairer 115527 BHARAT SH. RAMMEHAR 0 FAIL T.T. 616 Gurgaon Fitter 115179 NARENDRA SARJIT 0 FAIL Prac. T.T. 633 Gurgaon Electrician 115374 SUDHIR KUMAR SURENDER SINGH 0 FAIL T.T.634 Gurgaon Electrician 115375 HARINDER KRISHAN DEV 0 FAIL T.T. 636 Gurgaon Electrician 115377 GAJENDER PRABHUDYAL 0 FAIL T.T. 644 Gurgaon Machinist 115405 JAHANGIR KAMRUDIN 0 FAIL Prac. T.T. 682 Gurgaon MMV 115445 Bajrang Lal Dharmpal Singh 0 FAIL T.T. 692 Sonipat Welder 114563 SURENDER KUMAR MEVA SINGH 0 FAIL ED. Singh 0 FAIL T.T. WCS.703 Sonipat Welder 114569 Amit Sh. Balwan Singh 0 FAIL T.T. ED. 704 Sonipat Switch Board Attandent 114841 Dharmander Sh Ranbir singh 0 FAIL T.T. WCS. ED. 723 Sonipat Sheet Metal Worker 114622 SHAILESH SATPAL 0 FAIL T.T. 727 Sonipat DMM 114641 SANDEEP PURAN CHAND 0 FAIL Prac. 733 Sonipat Mechanic Diesel 114583 ANIL KUMAR RAM MEHAR 0 FAIL Prac. 740 Sonipat Wireman APP-III-105495HARI KISHAN RAM KARAN 0 FAIL T.T. 741 Sonipat Wireman APP -I, 112931NAVEEN BALDEV 0 FAIL Prac. T.T. 746 Sonipat Fitter 114525 VIKAS SATVIR 0 FAIL Prac. T.T. 752 Sonipat MMV 114683 Sombir Hari Kishan 0 FAIL T.T. 753 Sonipat MMV 114684 Parhladh Singh Rajender Singh 0 FAIL T.T. 754 Sonipat MMV 114685 Vijay Kumar Rohtash 0 FAIL T.T. 755 Sonipat MMV 114686 Sumit Saini Suresh Saini 0 FAIL T.T. 757 Sonipat Fitter APP-1 112518 Dharmbir Mahabir Singh 0 FAIL Prac. 761 Sonipat Welder 114557 Rakesh Kumar Ram Bhagat 0 FAIL Prac. 763 Sonipat Lineman 114702 Gajender Singh Surender Kumar 0 FAIL T.T. 767 Sonipat Lineman APP-1 112829 Harmender Shamsher Singh 0 FAIL T.T. 768 Sonipat Lineman APP-1 112841 Sandeep Kumar Dharambir Singh 0 FAIL T.T. 771 Sonipat Tyre Repairer 114763 Sandeeep Randhir 0 FAIL T.T. 772 Sonipat Tyre Repairer 114764 Vikram Singh Prem Singh 439 PASS773 Sonipat Tyre Repairer 114765 Rajesh Ramesh 0 FAIL T.T. 774 Sonipat Tyre Repairer APP - I 113132 Rajesh Kumar Bharath Singh 0 FAIL T.T. 776 Sonipat Tyre Repairer APP - I 113133 Vikash Karan Singh 0 FAIL T.T. 777 Sonipat DMM 114642 Reena Devi Surat Singh 0 FAIL Prac. 778 Sonipat DMM APP- I 112697 Sandeep Shyo Narayan 0 FAIL T.T. 780 Sonipat Painter 114742 Vikash Kumar Satyavir 0 FAIL T.T. 781 Sonipat Battery Repairer 114731 Sombir Banwari Lal 0 FAIL T.T. 783 Sonipat Battery Repairer 114733 Ramesh Kumar Prem Singh 0 FAIL T.T. 802 Sonipat Carpanter 114656 ANIL KARAN KARAN SINGH 0 FAIL T.T. 803 Sonipat Carpanter 114657 JAIBIR SINGH RAM NARAYAN 0 FAIL Prac. 807 Sonipat DMC 114615 SANDEEP KUMAR PHOOL KUMAR 402 PASS808 Sonipat DMC 114616 PAWAN KUMAR DHARAM PAL 0 FAIL Prac. 809 Sonipat DMM 114643 PUSPENDER KUMAR MAHANDER SINGH 0 FAIL Prac. 818 Sonipat Machinist 114672 KURRA JAGDISH 0 FAIL T.T. 823 Sonipat Fitter 114506 RAKESH OM PRAKASH 0 FAIL T.T. 825 Sonipat Fitter 114508 PAWAN MAHABIR SINGH 0 FAIL T.T. 830 Sonipat Fitter 109177 APP-2MONU RAMRUP 0 FAIL T.T. 837 Sonipat Mech. Tractor 114776 AMAN DEEP TILAK KAPOOR 0 FAIL T.T. 842 Sonipat Lineman 114707 KAVITA PREETAM SINGH 0 FAIL T.T.843 Sonipat Lineman 114708 SUSHMA RAM AVTAR 0 FAIL T.T. 844 Sonipat Lineman 114709 PARDEEP KUMAR PRABHU SINGH 0 FAIL T.T. 846 Sonipat Lineman 114711 ISHWAR SINGH BARU RAM 0 FAIL T.T. 847 Sonipat Lineman 114712 MANOJ KUMAR RAJ KUMAR 0 FAIL T.T. 848 Sonipat Lineman 114713 KAVITA SUKHRAM 0 FAIL T.T. 849 Sonipat Lineman 114714 KIRAN BALA RAMDHARI 0 FAIL T.T. 857 Sonipat Electrician 114537 KULDEEP SINGH ZILE SINGH 0 FAIL T.T. 862 Sonipat Electrician 114542 SOM PAL BHANA RAM 0 FAIL T.T. 863 Sonipat Electrician 114543 SANDEEP BANSI LAL 0 FAIL T.T. 900 Sonipat Lineman 114717 Rakesh Sh. Ramchander 0 FAIL T.T. 912 Sonipat Carpanter 114660 Vivek Kumar Sh. Jai Bhagwan 442 PASS913 Sonipat DMM 114644 Sunil Saini Sh. Raj Kumar 0 FAIL Prac. T.T. 914 Sonipat Instrument Mech. 114851 Amarjeet Sh. Ramniwas 0 FAIL T.T. 915 Sonipat Instrument Mech. 114852 Ajay Kumar Sh. Ramkumar 0 FAIL T.T. 916 Sonipat Instrument Mech. 114853 Sombir Sh. Ram Bhagwan 0 FAIL T.T. 917 Sonipat Plumber 114865 Parvash Sh. Umed singh 0 FAIL T.T. 921 Sonipat Lineman 114721 SIMRAN DHARIWAL BALDEV SINGH 0 FAIL T.T. 923 Sonipat Lineman 114723 BHIM SINGH RANJEET SINGH 0 FAIL Prac. T.T. 924 Sonipat Lineman 114724 RUMIT KUMAR OM PRAKASH 0 FAIL Prac. T.T. 925 Sonipat Lineman 114725 RAVI KUMAR PRITHVI SINGH 0 FAIL Prac. T.T. 937 Sonipat Tailor (Women) 114811 RUPINDER KAMBOJ JEET SINGH 0 FAIL Prac. T.T. 938 Sonipat Tailor (Women) 114812 PARVINDER KAUR JODH SINGH 0 FAIL Prac. T.T. 939 Sonipat DMC 112942 NEELAM RANI DES RAJ 0 FAIL T.T. 942 Sonipat Mech. Tractor 114782 Naresh kumar Sh Ishwar singh 0 FAIL Prac. T.T. 944 YamunanagarFitter 117627 SUNTY KAMBOJ VINOD KAMBOJ 0 FAIL T.T. 945 YamunanagarFitter 117628 SANDEEP KUMAR JAI PAL 0 FAIL T.T. 950 YamunanagarFitter 117633 SUNNY BAL KISHAN 0 FAIL T.T. 951 YamunanagarFitter 117634 LAKHWINDER SINGH AMREEK SINGH 0 FAIL T.T. 952 YamunanagarFitter 117635 GORAV KUMAR ASHOK KUMAR 0 FAIL T.T. 953 YamunanagarFitter 117636 SOHAN LAL RAM PAL 0 FAIL Prac. T.T. 954 YamunanagarFitter 117637 RAJNEESH RULDA RAM 0 FAIL Prac. 955 YamunanagarFitter 117638 SAINKY KUMAR PHOOL CHAND 0 FAIL Prac. 957 YamunanagarFitter 117640 DINESH JASBIR SINGH 0 FAIL Prac. 958 YamunanagarFitter 117641 VIKAS KUMAR KANWAR PAL 0 FAIL Prac. 959 YamunanagarFitter 117642 AMIT BALI MOHAN LAL 0 FAIL Prac. T.T. 963 YamunanagarFitter 117646 ANKIT ATRI SANJEEV SHARMA 0 FAIL T.T. 967 YamunanagarFitter 117650 RAVI KUMAR JAIHIND 0 FAIL Prac. T.T. 968 YamunanagarFitter 117651 KULDEEP SURINDER KUMAR 0 FAIL T.T. 969 YamunanagarFitter 117652 JAGIR SINGH DHARM PAL 0 FAIL Prac. 970 YamunanagarFitter 117653 NIRMAL KUMAR RAM SINGH 0 FAIL T.T. 977 YamunanagarWelder 117664 SACHEEN KUMAR HARI SINGH 0 FAIL T.T. 983 YamunanagarWelder 117670 SUNIL SHARMA UDAY BHAN 0 FAIL T.T. 989 YamunanagarWelder 117676 ROHIT KUMAR NAIB SINGH 0 FAIL T.T. 998 YamunanagarElectrician 117686 VIKASH RAJ KUMAR 0 FAIL T.T. 999 YamunanagarElectrician 117687 BRIJESH SINGH BHOLA SINGH 0 FAIL T.T. 1003 YamunanagarElectrician 117691 INDERJEET DEVRAJ 0 FAIL Prac. T.T. 1025 YamunanagarDMM 117731 AARTI DEVI JAI SINGH 0 FAIL Prac. 1026 YamunanagarDMM 117732 SUKHWINDER KUMAR JAGMAL SINGH 0 FAIL Prac. 1027 YamunanagarDMM 117733 NAVNEET TYAGI SOHAN LAL TYAGI 0 FAIL Prac. 1028 YamunanagarDMM 117734 VISHAL RANJEET KUMAR 0 FAIL Prac. 1029 YamunanagarDMM 117735 ASHEESH DHIMAN PUNNU RAM 0 FAIL Prac. 1040 YamunanagarLineman APP-III-104629KULDEEP SINGH VIRENDER KUMAR 0 FAIL T.T. 1042 YamunanagarInstrument Mech. 117756 SHAB SINGH HARCHARAN SINGH 0 FAIL T.T. 1051 YamunanagarFitter 117841 DINESH KUMAR GURDEV SINGH 412 PASS1052 YamunanagarFitter 117842 RAVINDER SINGH RANJIT KUMAR 0 FAIL T.T. 1055 YamunanagarFitter 117845 ROHIT SHARMA MAN CHAND 0 FAIL Prac. T.T. 1056 YamunanagarFitter 117846 CHANCHAL KUMAR TEJ PAL 0 FAIL Prac. 1058 YamunanagarFitter 104802 RAJINDER KUMAR BALDEV RAJ 0 FAIL T.T. 1059 YamunanagarFitter 109069 MALKIT KUMAR BALBIR SINGH 0 FAIL Prac. 1063 YamunanagarLineman 117874 SANDEEP KUMAR MAHINDER PAL 0 FAIL T.T. 1064 YamunanagarLineman 117875 VISHAL KUMAR KESAR SINGH 0 FAIL T.T. 1065 YamunanagarLineman 117876 SUNNY KAPOOR VIJAY KAPOOR 0 FAIL T.T. 1066 YamunanagarLineman 117877 PAWAN KUMAR JAGIR SINGH 0 FAIL T.T. 1067 YamunanagarLineman 117878 AYUB KHAN SUCHA KHAN 0 FAIL T.T. 1068 YamunanagarLineman 109014 GOURAV BANT RAM 0 FAIL T.T. 1070 YamunanagarWelder 117802 KULDEEP PAL BALKAR SINGH 0 FAIL T.T. 1099 YamunanagarElectronics Mech. 117886 MANINDER PAL DARSHAN LAL 0 FAIL T.T. 1102 YamunanagarInstrument Mech. 117902 ROHIT KUMAR DALIP KUMAR 0 FAIL Prac. 1116 YamunanagarDMC 117859 SMT.SAKSHI RAHUL PASSI 0 FAIL T.T. 1130 YamunanagarFitter 117656 SAURABH KUMAR NARENDER KUMAR 0 FAIL Prac. T.T. WCS. 1131 YamunanagarFitter APP-I-113626SATISH KUMAR PURAN CHAND 0 FAIL WCS. 1137 YamunanagarDMM 117931 GURMEET SINGH YUDHVEER SINGH 0 FAIL Prac. WCS. 1156 Karnal Mech. Electronics R-117132 SANJAY KUMAR SH. SUGAN SINGH 0 FAIL T.T. WCS. S.S.
1159 Karnal Mech. Electronics F-112070 VIKRAM SH. KARAMVIR 0 FAIL T.T. WCS. 1160 Karnal Fitter R-117124 PARDEEP KUMAR SH. SHAMSHER 0 FAIL T.T. 1161 Karnal Fitter R-117125 MANJIT SINGH SH. AMAR SINGH 0 FAIL Prac. 1162 Karnal Fitter R-117126 JITENDER PAL SH. SURESH KUMAR 0 FAIL T.T. 1165 Karnal Fitter R-117558 PRINCE KUMAR SH. NAIB SINGH 0 FAIL WCS. 1167 Karnal Fitter R-117560 ANIL KUMAR SH. GULAB SINGH 0 FAIL Prac. 1168 Karnal Fitter R-117561 ROBIN SH. BALWANT 0 FAIL Prac. 1174 Karnal Welder R-117159 SOHAN LAL SH. JOGINDER 0 FAIL ED. 1175 Karnal Welder R-117556 DEEPAK KUMAR SH. JOGINDER 0 FAIL T.T. ED. 1176 Karnal Welder F-99603 PARDEEP KUMAR SH. PRITAM SINGH 0 FAIL T.T. 1178 Karnal Welder F-112406 OCT 2013 LALIT KUMAR SH. SORAN RAM 0 FAIL ED. 1179 Karnal Welder F-112215 Parveen Kumar Sh. Suraj Bhan 0 FAIL ED. Kaushik 0 FAIL T.T. WCS. ED. 1197 Karnal DMC R-117562 ARVIND KUMAR SH. SHRI RAM 0 FAIL T.T. 1200 Karnal Mechanic Diesel R-117555 Ravi Kumar Sh. Raghubir Singh 0 FAIL ED. 1220 Karnal Battery Repairer F-112286 Ajay Ajmer 0 FAIL T.T. 1229 Karnal DMC R-117491 Ashok Kumar Sh. Ishwar Singh 0 FAIL T.T. 1232 Karnal Mech. Electronics 117546 CHANDER BHAN SH. ARJUN SINGH 0 FAIL T.T. 1233 Karnal Mech. Electronics R-117390 Ashish Gupta Sh.Muni lal Gupta 0 FAIL T.T. 1234 Karnal Mech. Electronics R-117391 Raj Kumar Sh.Pala Ram 0 FAIL T.T. 1235 Karnal Mech. Electronics R-117312 Sukhbir Tek Ram 0 FAIL T.T. 1236 Karnal Mech. Electronics R-117313 Rakesh Om Parkash 0 FAIL T.T. 1237 Karnal Mech. Electronics F- 103538 Sube Singh Jagdish 0 FAIL T.T. 1238 Karnal Mech. Electronics F- 103539 Kuldeep Balwan Singh 0 FAIL T.T. 1242 Karnal Plumber F-112450 Vikram Singh Sh.Sant Ram 0 FAIL T.T. 1247 Karnal Lineman R-117167 RAM MEHAR SH. KITAB SINGH 0 FAIL T.T. 1248 Karnal Lineman R-117168 NAVEEN KUMAR SH. SUDESH 0 FAIL T.T. 1249 Karnal Lineman R-117169 SANJAY KUMAR SH. DES RAJ 0 FAIL T.T.1250 Karnal Lineman R-117170 SANJAY SH. CHAMEL SINGH 0 FAIL T.T. 1254 Karnal Lineman 117536 RAHUL PANJETA SH. NARESH 0 FAIL T.T. 1255 Karnal Lineman 117537 PARDEEP KUMAR SH. KARMVEER 0 FAIL T.T. 1256 Karnal Lineman 117538 DHARAMVIR SH. BHAG SINGH 0 FAIL T.T. 1258 Karnal Lineman F-108675 PARLAHAD KUMAR SH. DIDAR SINGH 0 FAIL T.T. 1260 Karnal Lineman R-117399 Naresh Kumar Sh.Amar Singh 0 FAIL T.T. 1277 Karnal Lineman F-112368 Surekha Rani Partap Singh 0 FAIL Prac. 1278 Karnal Lineman F-112363 Jaivir Singh Raghbir Singh 0 FAIL T.T. 1279 Karnal Lineman F-108743 Sohan Lal Sh.Devi Dyal 0 FAIL T.T. 1280 Karnal Lineman R-117489 Kavit Kumar Sh. Banarasi lal 0 FAIL T.T. 1289 Karnal Electrician R-117318 Sunil Kumar Balwan Singh 0 FAIL Prac. T.T. 1292 Karnal Electrician R-117321 Ravi Kumar Suresh Kumar 0 FAIL Prac. T.T. 1295 Karnal Electrician R-117523 Siddhant Shri Krishan 0 FAIL T.T. 1296 Karnal Electrician R-117475 Satish Kumar Sh. Sher Singh 0 FAIL T.T. 1308 Karnal R & AC 117303 Bhali Ram Randheer Singh 0 FAIL Prac. T.T. 1309 Karnal R & AC 117304 Pawan Ram Dhari 0 FAIL Prac. T.T. 1310 Karnal R & AC 117305 Naresh Kumar Mani Ram 0 FAIL Prac. T.T. 1314 Karnal Fitter R-117116 BUNTY SH. BALWANT 0 FAIL T.T. 1315 Karnal Fitter R-117117 BALVINDER SH. PREM CHAND 0 FAIL Prac. T.T. 1322 Karnal Fitter R-117387 Naveen Kumar Sh.Parmal Singh 0 FAIL Prac. T.T. 1323 Karnal Fitter R-117388 Kuldeep Singh Sh.Shri Chand 0 FAIL Prac. 1325 Karnal Fitter 117296 Ajay Kumar Ram Bharose 0 FAIL Prac. 1328 Karnal Fitter R-117466 Kuldeep Singh Sh. Raje Ram 0 FAIL T.T. 1329 Karnal Fitter R-117467 Brijpal Sh. Ved pal 0 FAIL Prac. 1331 Karnal Fitter R-117469 Vinod Chohan Sh. Jagdish Chohan 0 FAIL Prac. 1333 Karnal Fitter R-117471 Boota singh Sh. Nafe singh 0 FAIL Prac. 1334 Karnal Fitter R-117472 Surender Saini Sh. Ram Singh 0 FAIL Prac. 1341 Karnal Tyre Repairer R-117186 SURESH KUMAR SH.RAMMEHAR 0 FAIL T.T. 1342 Karnal Tyre Repairer R-117366 Anoop Kumar Sh.Pala Ram 0 FAIL T.T. 1344 Karnal Tyre Repairer R-117368 Mukesh Kumar Sh.Karam Chand 0 FAIL T.T. 1345 Karnal Tyre Repairer R-117369 Bijender Kumar Sh.Punjab Singh 0 FAIL T.T. 1348 Karnal Tyre Repairer F-112423 Maninder Sh.Deep Singh 0 FAIL T.T. 1349 Karnal Tyre Repairer F-112425 Shubham Sh.Satya Narayan 0 FAIL T.T. 1350 Karnal Tyre Repairer R-117281 Pardeep Kumar VedParkash 0 FAIL T.T. 1356 Karnal Tyre Repairer R-117287 Satish Kumar Balwan Singh 0 FAIL T.T. 1357 Karnal Tyre Repairer R-117288 Hari Parn Mahender Singh 0 FAIL T.T. 1358 Karnal Tyre Repairer R-117289 Shiv Charan Satya Narayan 0 FAIL Prac. T.T. 1359 Karnal Tyre Repairer R-117290 Pawan Kumar TekRam 0 FAIL T.T. 1361 Karnal Tyre Repairer R-117292 Chander Bhan Des Raj 0 FAIL T.T. 1362 Karnal Tyre Repairer R-117293 Alim Rattan Singh 0 FAIL Prac. T.T. 1364 Karnal Tyre Repairer F-112278 Mukesh Ramhar 0 FAIL T.T. 1365 Karnal Tyre Repairer F-112279 Mandeep Kumar Sohan Lal 0 FAIL T.T. 1366 Karnal Tyre Repairer F-112280 Joginder Suresh Kumar 0 FAIL T.T. 1368 Karnal Welder R-117153 AMAN SH. RISHI PAL 0 FAIL T.T. 1381 Karnal Welder R-117501 Rakesh Kapoor Singh 0 FAIL Prac. T.T. 1382 Karnal Welder R-117276 Rakesh Satya Narayan 0 FAIL T.T. 1384 Karnal Welder F-112297 Kuldeep Ram Niwash 0 FAIL T.T. 1385 Karnal Welder F-112112 VIKAS SHARMA SH. RAJ KUMAR 0 FAIL T.T. 1398 Karnal Carpanter R-117543 AMAN KUMAR SH. PARDEEP 0 FAIL Prac. T.T. 1400 Karnal Carpanter F-112265 Rajesh Pirthi 0 FAIL T.T. 1416 Karnal MMV R-117341 Jasbir Singh Ramesh 0 FAIL T.T. 1419 Karnal MMV R-117344 Pawan Kumar Babu Ram 0 FAIL T.T.